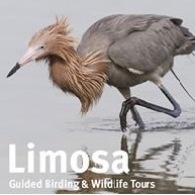 Average rating of 0.0 for all Limosa Holidays trips. Always a chance of something rare or unexpected - Great Knot found by our 2014 group! Wildlife that’s abundant and tame... don’t forget your camera!